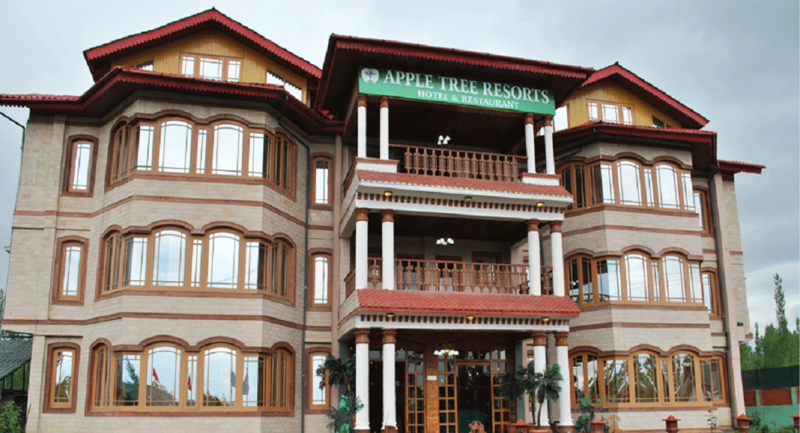 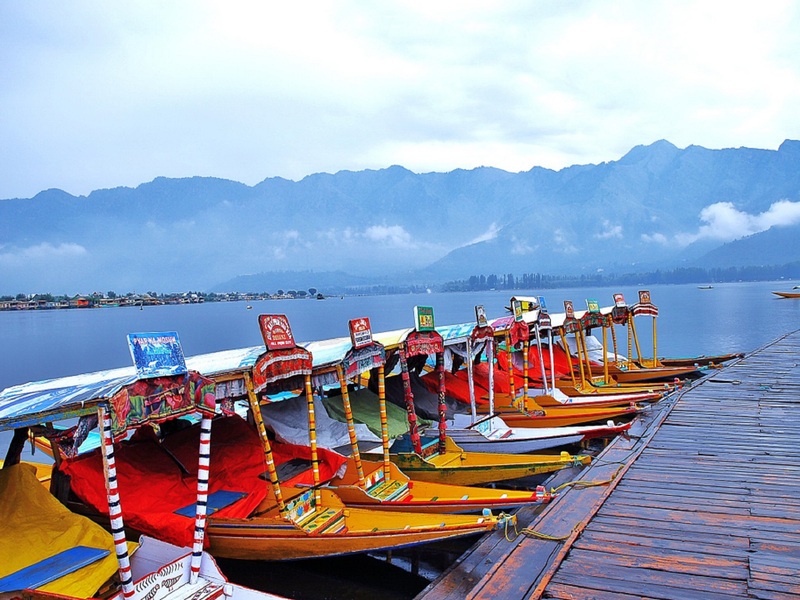 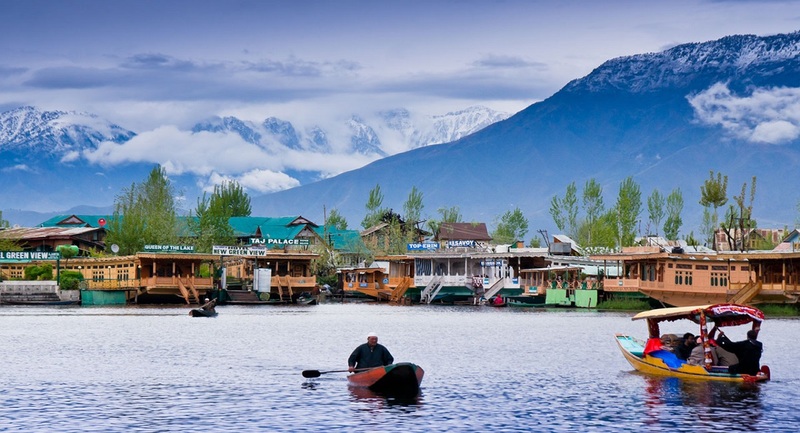 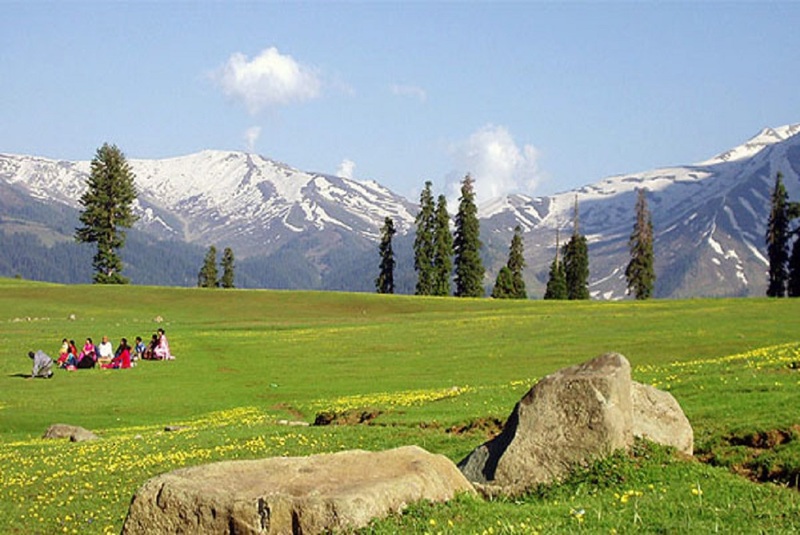 Gulmarg is a town, a hill station, a popular skiing destination and a notified area committee in Baramula district in the Indian state of Jammu and Kashmir. 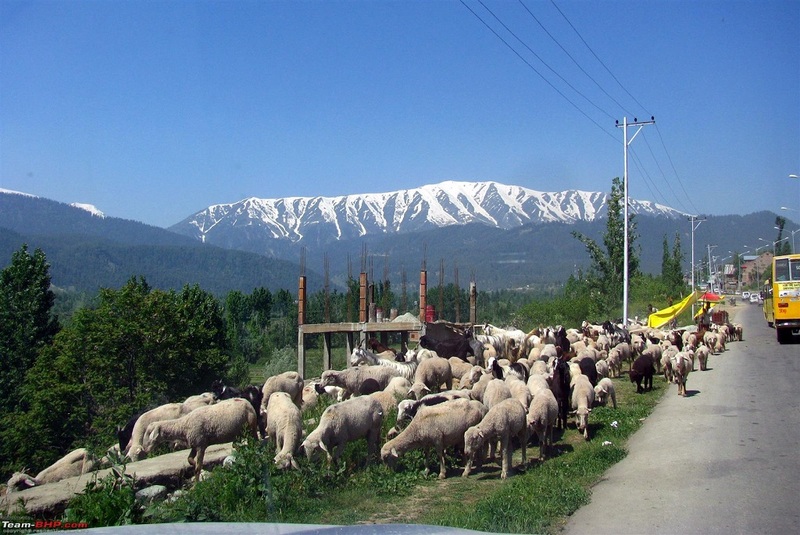 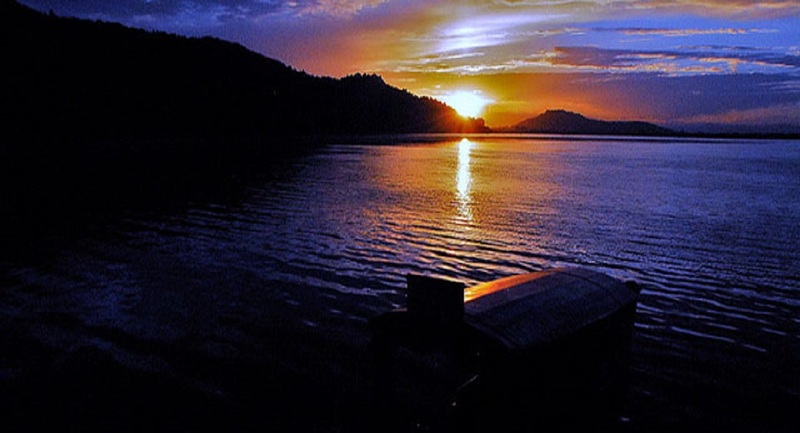 The town is situated in the Pir Pinjal range in the western the Himalayas and is within miles of the Line of Control between India and Pakistan. 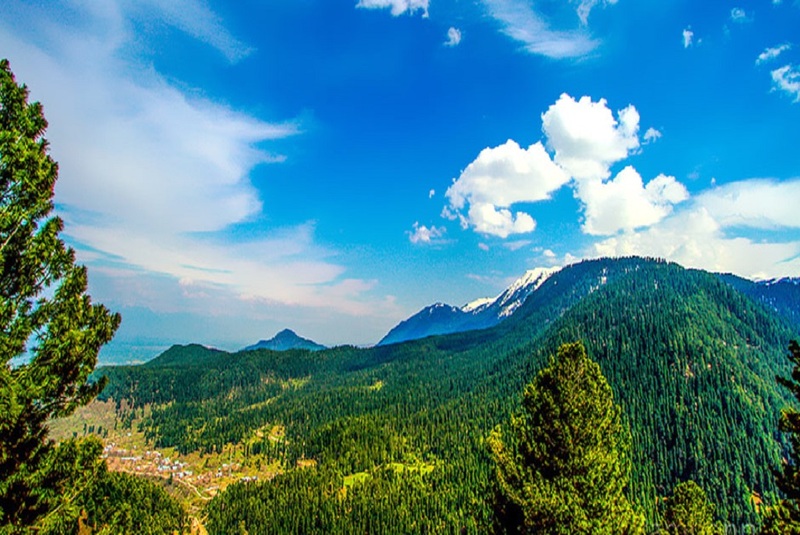 Winter sports like skiing, tobogganing, snowboarding and heli-skiing take place on the slopes of Mount Apharwat reachable by a Gondola lift. 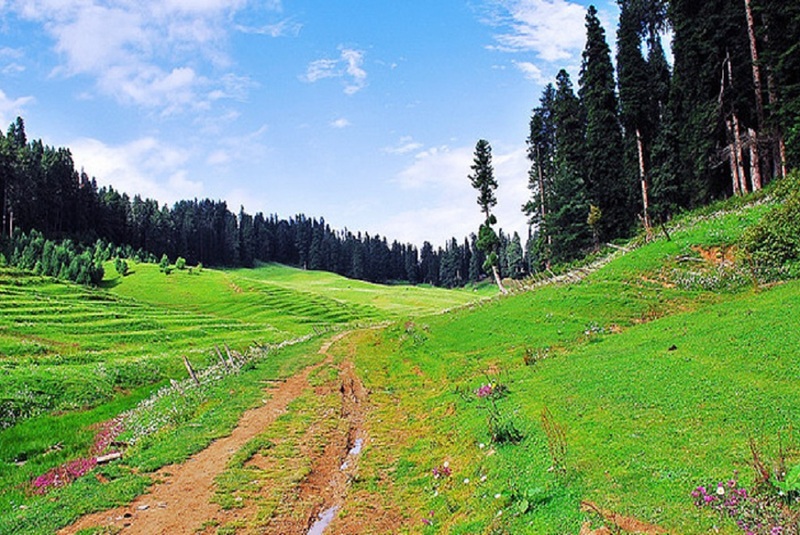 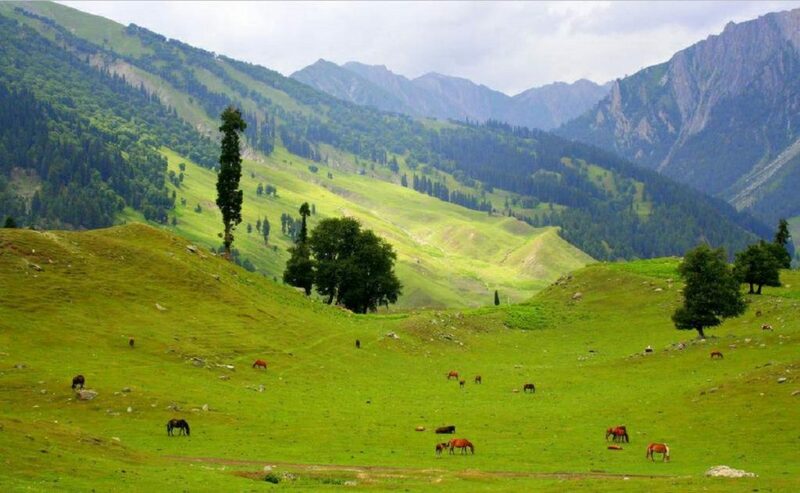 Originally named Gaurimarg ("the fair one") by shepherds in honor of the Hindu goddess Parvati, the resort was renamed Gulmarg by Sultan Yusuf Shah of the Chak Dynasty who frequented the place with his mistress Habba khatoon in the 16th century. 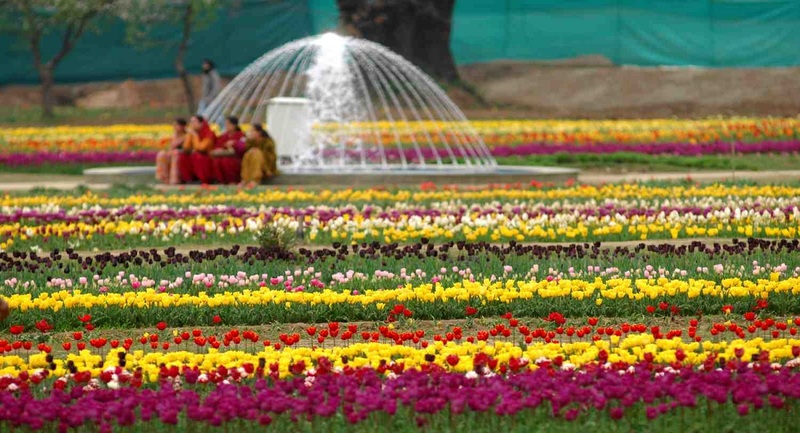 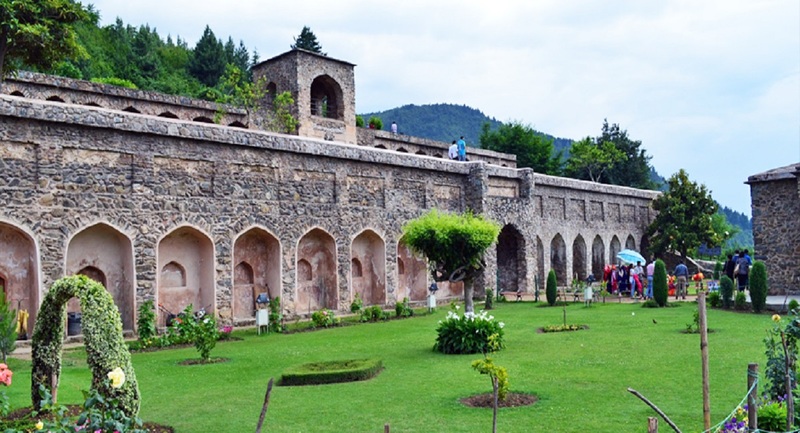 Wild flowers of 21 different varieties were collected by the Mughal emperor Jahangir for his gardens in Gulmarg. 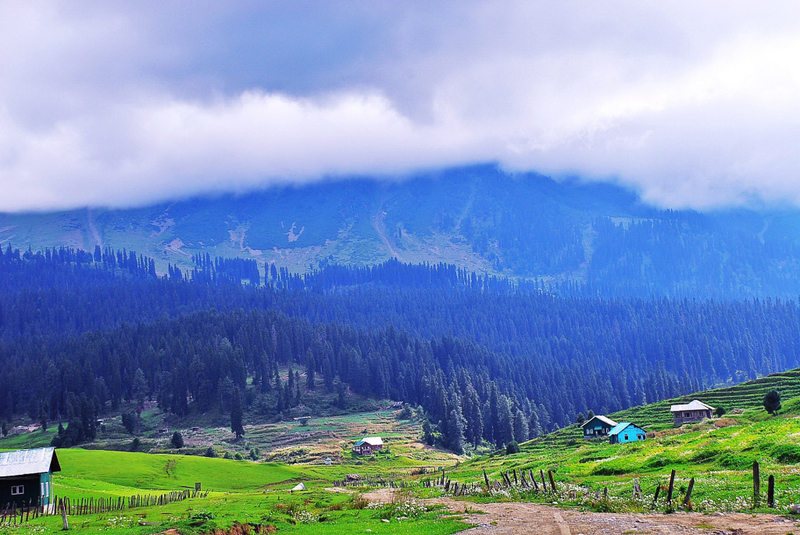 In the 19th century, British civil servants started using Gulmarg as a retreat to escape summers in North Indian plains. 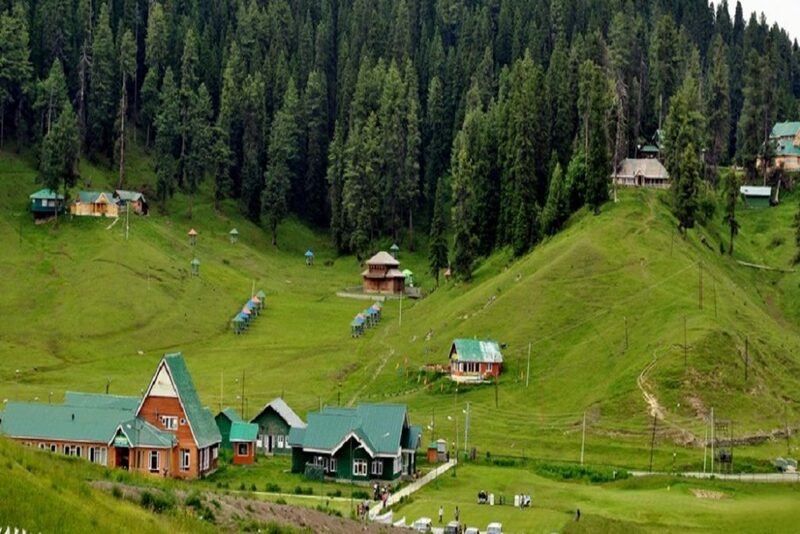 Hunting and golfing were their favorite pastime and three golf courses were established in Gulmarg including one exclusively for women. 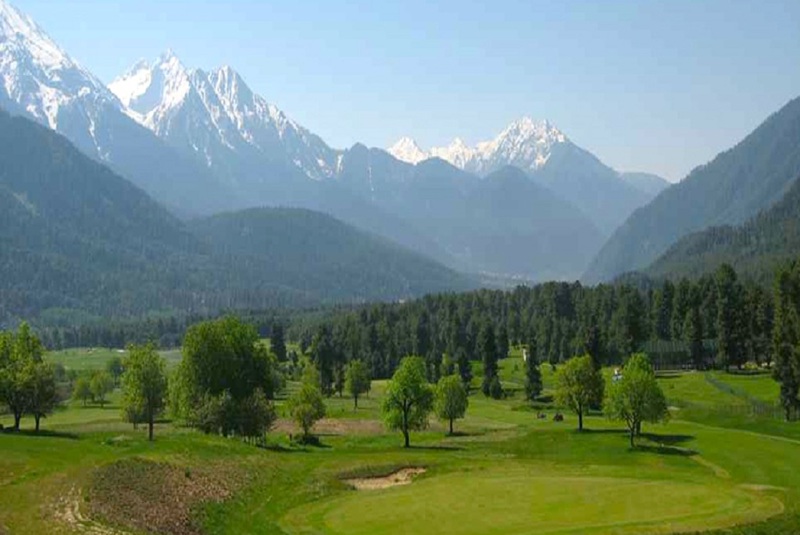 One of the three golf courses established survives to the present day and at an altitude of 2,650 metres (8,690 ft) is the world's highest golf course. 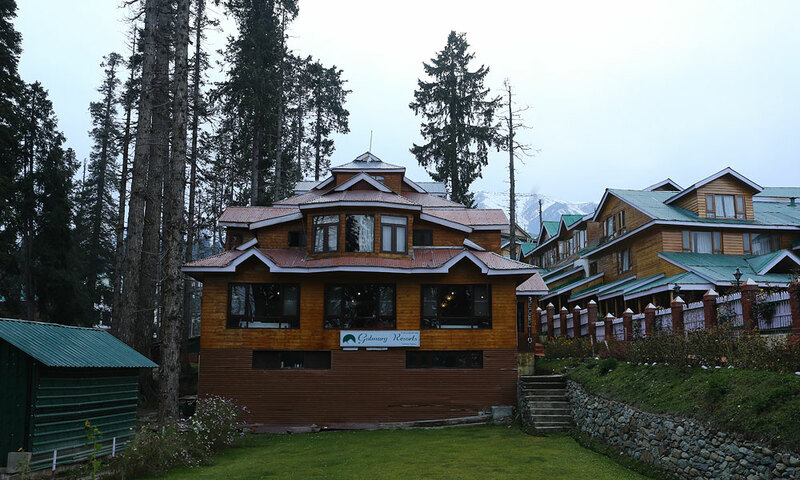 In 1927, British established a ski club in Gulmarg and two annual ski events were hosted one each during Christmas and Easter. 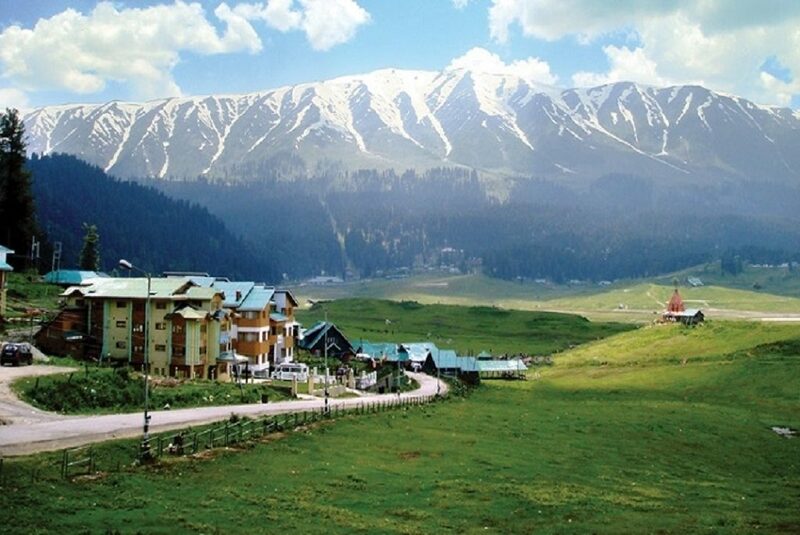 Central Asian explorer Aurel Stein also visited Gulmarg during this period. 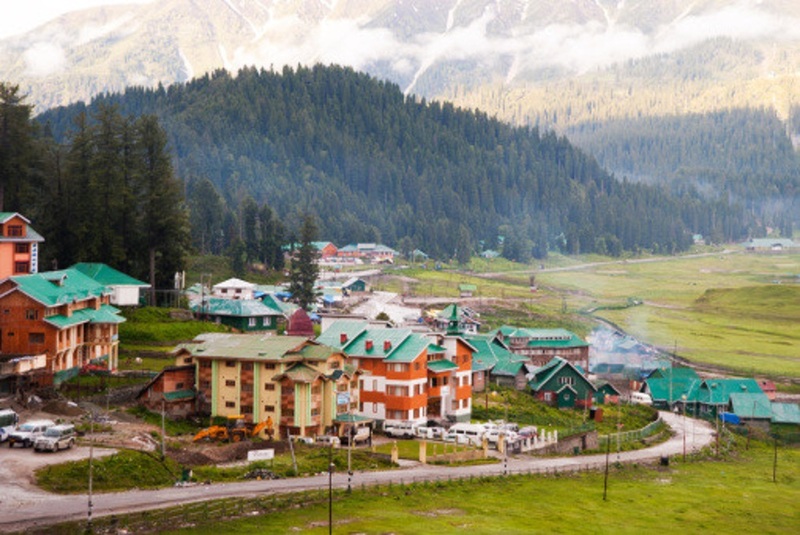 Gulmarg has been the location of shooting of many Bollywood Films like Bobby, Jab Tak Hai Jaan, Yeh Jawaani Hai Deewani, Highway, Phantom Haider etc. 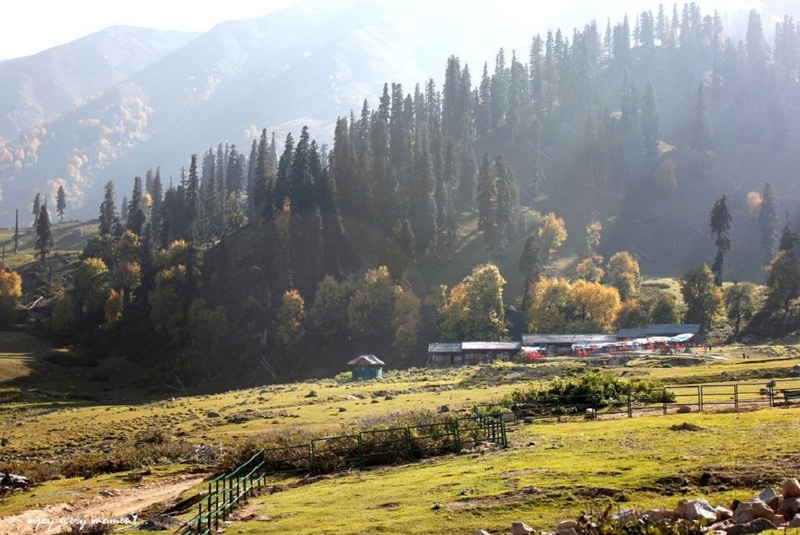 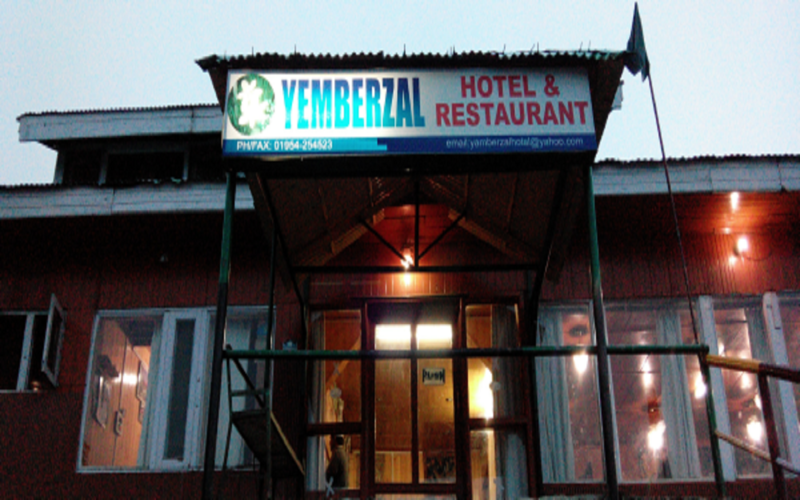 A scene in Bobby was shot in a hut in Gulmarg that later come to be known as Bobby Hut. 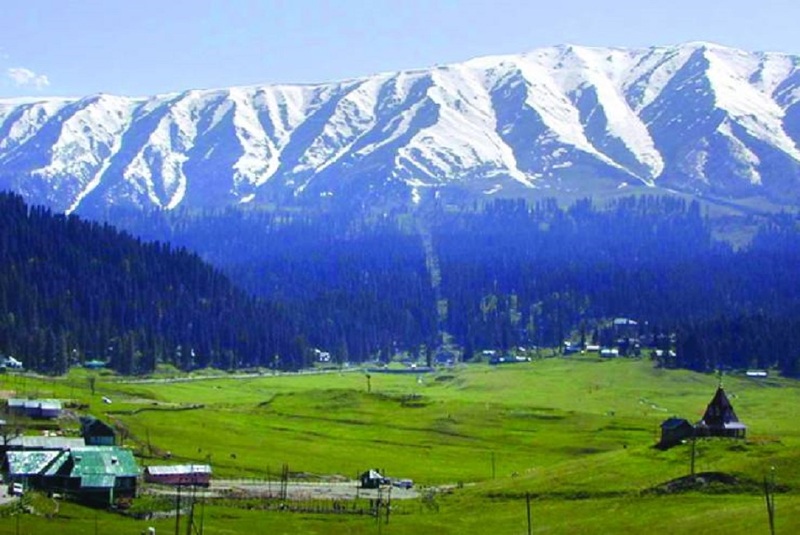 An annual three day Gulmarg Winter Festival is held in March. 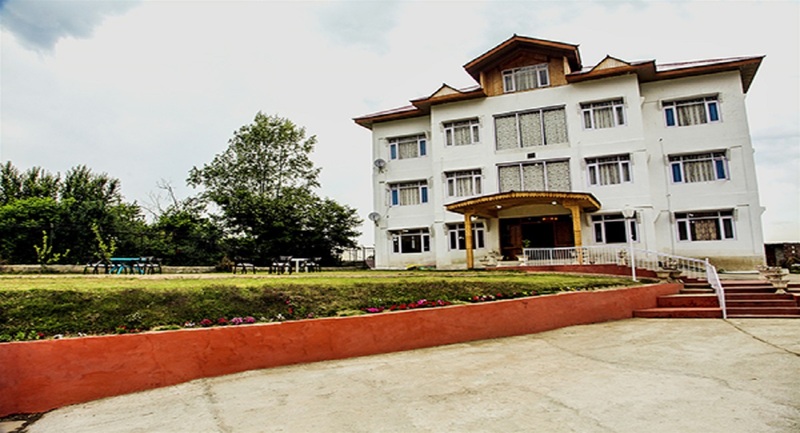 Budding artists in the fields of music, films and photography are given an opportunity to showcase their work during the festival.